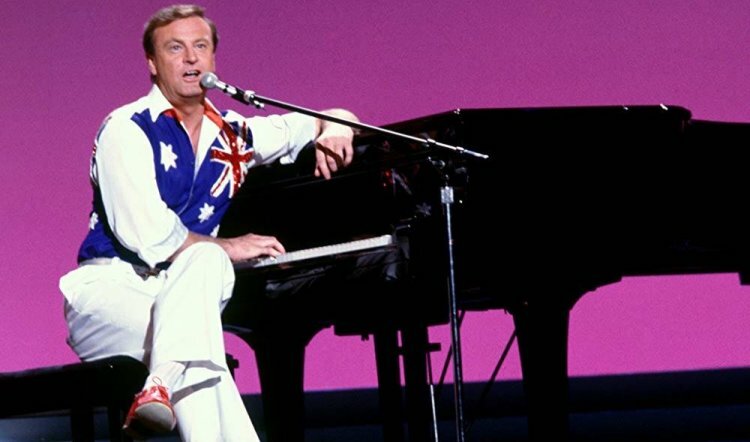 WHEN the much-anticipated Australian musical The Boy From Oz – a vibrant and touching account of the life and music of Peter Allen – had its world premiere at Sydney’s Her Majesty’s Theatre in March 1998, it was as though a long drought had broken. 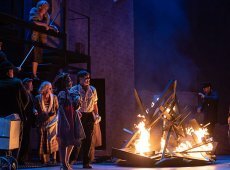 That it arrived at all was a minor miracle given the state-of-play in the commercial theatre sector where revivals and re-treads of pedigreed Broadway and West End shows held sway. At the time there was no shortage of cynicism about the chances of a home-grown musical being created through development workshops and reaching the stage, let alone becoming a smash hit that would run for two years, get an outing on Broadway and play 10,000+ seat arenas. Enter Ben Gannon and Robert Fox, enterprising producers who brought ambition, passion, skill and, between them, enormous clout to the table. They had both seen Allen perform in Sydney and New York, and loved his irrepressible style and his upbeat, tender, largely-autobiographical songs. A few years after Allen died in 1992 a biography by Stephen MacLean about the entertainer’s extraordinary life titled The Boy From Oz was published and made into a documentary. They served as a catalyst for the musical. Fundamentally, Gannon and Fox wanted to honour Allen’s legacy by putting the showman’s “name in lights” in grand theatrical style. The producers had no time for the naysayers and applied themselves with characteristic resolve, conscientiousness and gusto. The Boy From Oz set a benchmark, created a new generation of stars and significantly influenced the fabric and standing of musical theatre in Australia and internationally. It represented a seismic shift in the raising of finance and development of new large-scale Australian work. 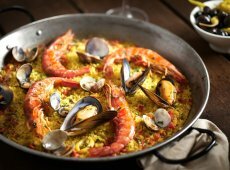 Its success bolstered the commercial theatre sector, restored confidence among investors and helped pave the way for Shout! The Legend of The Wild One in 2000, a biographical show about Johnny O’Keefe starring David Campbell, and the 2006 bio-musical Dusty – The Original Pop Diva, about Dusty Springfield. On the eve of a new production of The Boy From Oz, starring rising talent Rohan Browne as Peter Allen, Loren Hunter (Rent at the Hayes Theatre) as Liza Minnelli and Caroline O’Connor as Judy Garland, the impact of the 1998 musical has become increasingly evident with the passing of time. What was once a steady stream of bio-shows, including the phenomenally successful Jersey Boys and Beautiful – The Carole King Musical, is turning into a torrent on Broadway and the West End. They include Tina: The Tina Turner Musical, The Cher Show and, in the pipeline for 2020, King of Pop Michael Jackson. 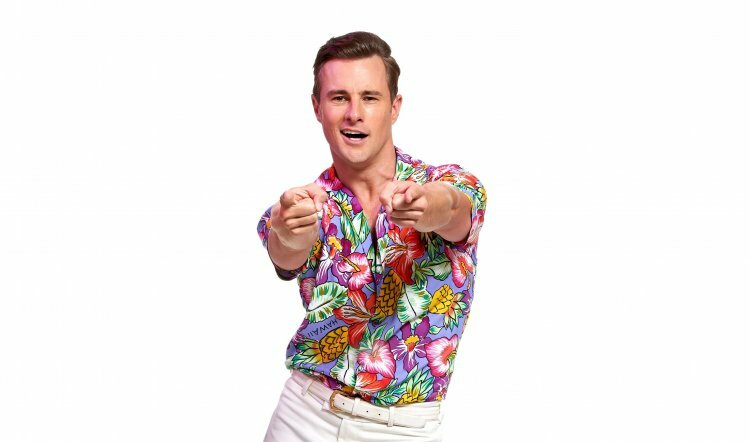 When Melbourne’s The Production Company, founded and chaired by passionate benefactor and arts patron Jeanne Pratt, was deciding on the three shows for this year’s season, the Peter Allen musical quickly earned a place. Theatre critic James Waites, writing in the Sydney Morning Herald, was effusive in his praise, declaring the musical, “a home-grown tribute that’s worthy of a wizard of Oz”. He wrote, “It is the way its themes – Allen’s emergent homosexuality, his relationship with American Greg Connell and his eventual death in 1992 from AIDS – are dealt with in the second half, briskly but frankly, that push the boundaries”. Robert Fox, who has impressive theatre and film producing credits to his name, including the films Closer and Notes On a Scandal, said new musicals are especially hard to produce and that the success of The Boy From Oz, “was only made clear once it was up in front of audiences who adored it from the first preview in Sydney onwards”. The triumph of The Boy From Oz, directed by Gale Edwards with musical director Max Lambert and Enright, was immediate and resounding. Its honesty and heart – and larrikin verve – struck a chord with audiences. The production toured nationally and ran for 766 performances. “It’s arrival was a new beginning and brought a new hope for the Australian musical,” said Mackenzie-Forbes. “Prior to 1998, no Australian-made musical had enjoyed ongoing success in both Australia and New York. It won the general public’s respect for the Australian musical. If ever a show depended on the charisma of its leading man to make its songs and story soar then The Boy From Oz is unequivocally one of them. Jackman would go on to win the 2004 Tony Award for Best Performance by a Leading Actor in a Musical. His “heavy-lifting” performance would become a homecoming celebration two years later when Gannon and Fox, assisted by tireless executive producer Lesley Shaw, transformed the piece into an arena spectacular during which Jackman would descend from the rafters atop a grand piano. 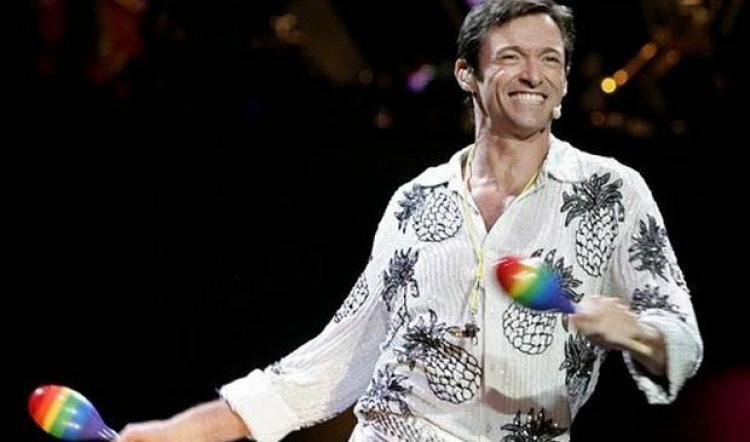 The show, directed by Kenny Ortega and assisted by choreographer Kelley Abbey, immediately revealed Jackman’s versatility and star power to his home audience. As Langley and Tyack’s production takes shape in rehearsal, the deftness and poignancy of Enright’s book is coming to the fore as are the triple-threat singing, acting and dancing talents of its committed cast. “It’s so well written and the structure and economy of the piece offers many clues to the director and actors,” said Langley, who directed Dusty and Brigadoon for The Production Company. “Nick wasn’t interested in a predictable or linear approach,” observes Langley. “As a writer he found it [commercial theatre] very challenging but he very cleverly found a way to create a universe where the two sides of Peter Allen – the private and public – and the past and present, could collide. “I want to draw on contemporary resonances such as marriage equality while honouring Nick’s intentions... Michael Ralph is re-inventing the choreography and we are making dance a much stronger feature of the Minnelli role.” Langley and Tyack are the perfect duo and collaborators to re-ignite the beloved musical, enlivened by a stellar cast, including Robyn Arthur as Marion Woolnough and Matthew Manahan, who came to notice in Cabaret, in the role of Greg Connell. Fox expects the musical will return to Broadway one day. “It has always been our ideal to have another production of The Boy From Oz in New York and indeed in London, where it’s never been done,” he says. “However, it requires a very particular performer and in America, Hugh’s boots are very big ones to fill, but when the right person comes along it will happen. I am very excited by this new production in Melbourne and maybe it will tour the country.